How many times have you received a bill from a mechanic and they said they didnt have to do something as everything was fine. I had 2 visits to icare. The first requires some suspension components replaced. They said they needed to do an alignment. I later had some other components replaced and they said they would need to do another alignment. When I picked up the car they said they did a road rest and the alignment was fine so no need to do an alignment. Great service. Fast service and great company. 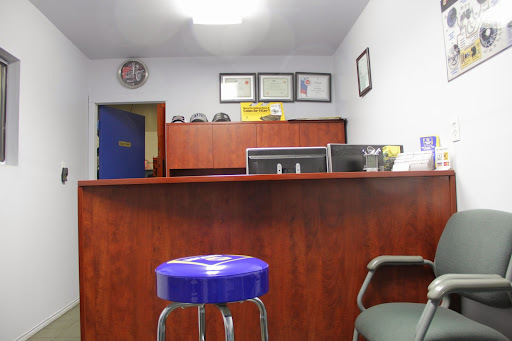 Weve only had our car serviced here a couple of times (were new to the area) but both times have been very pleased with the service and especially the integrity of the staff. Willing to explain any issues, what needs to be repaired and what to just watch. Reasonable prices AND washed & vacuumed the car afterwards. Thank you! Highly recommended! We were looking for a auto repair shop that could look after a fleet of vehicles all shapes and sizes for our company. We were tired of long waits, long bills. These fellows at "I care" really lived up to their name, honest...hard working and gentlemen to boot, highly recommend these new friends of ours. Grant Morrison. Awesome guys working here! I came in on an emergency with my overheating car, they came right in and diagnosed properly and resolved the same day! My car has been purring like a kitten since :) Luckily it wasnt a major problem, so the price was fair. Looking for them to help me out on my next car project! Ive been 5 times now. Good communication about what needs to happen and what can wait. Honest. on-time. I wish it was closer to my house but otherwise no complaints. Super nice helpful fast and fair priced! Eric was so nice went over everything with me very comfortable leaving my car in there hands!! Great guys at iCare! Honest, fast, knowledgeable and very reasonably priced! Would recommend them any day! The staff is super knowledgable, Perfect place to bring your Honda!